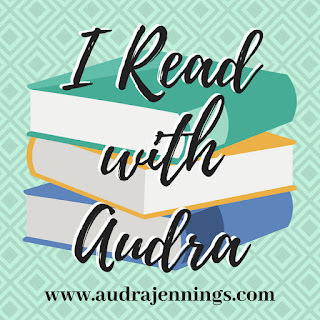 Isaiah’s Daughter (2018) by Mesu Andrews is the first book in the Prophets and Kings series. It is scheduled to be released for sale on January 16, 2018 by Waterbrook Press. This novel will be available in all forms including eBook, and is 384 pages in length. With the craze of the holidays and a very busy schedule, this book took me three days to read. I received a review copy of this novel in paperback form from the publishers, Waterbrook Press. In no way has this influenced my review. The opinions expressed in this review are my own. I give this story 5+++ STARS. This book is a Christian Biblical Historical Romance set during the time of Isaiah the prophet and King Hezekiah. Isaiah adopts Ishma, giving her a new name–Hephzibah, delight of the Lord–thereby ensuring her royal pedigree. Ishma came to the prophet’s home, devastated after watching her family destroyed and living as a captive. But as the years pass, Zibah’s lively spirit wins Prince Hezekiah’s favor, a boy determined to rebuild the kingdom his father has nearly destroyed. But loving this man will awake in her all the fears and pain of her past and she must turn to the only One who can give life, calm her fears, and deliver a nation. This story is SO good, I’m overwhelmed. I have been praying for the past few hours, since I finished, that God would help give me the words to truly express how amazing this book is. I love Biblical fiction. To me, it adds to my Bible studies and allows me to go deeper into God’s Word. I probably would have finished this book in one day, but I kept pausing my reading to grab my Bible and cell phone so I could read the actual passages of Isaiah, 2 Kings, and 2 Chronicles and Google search. I love, love, love when a book enhances my Bible studies. So, what did I love? The authenticity of the characters and setting, and Mesu’s masterful use of the English language to create images that have seared into my heart. And, the faith portrayed in this book is astounding. There were some moments of faith where I really had to look at myself and reevaluate just how much I truly trust and rely on God. I love when a book does that to me! This book is told via three perspectives: Ishma (later named Hephzibah), Hezikiah, and Isaiah. I really enjoyed the shift in perspective because it helps make the characters feel genuine, and, personally, I just love seeing a moment through different characters’ viewpoints. For brevity’s sake, I will focus on only Ishma and Hezekiah. Ishma is the main character, and the character I really relate to the most. At the start of this book, Ishma is five years old. It is 732 BCE and Israel has just sacked Judah brutally killing many, and taking captives and plunder back to Samaria. This account is told to us in 2 Chronicles 28 in the Bible. Ishma watched as her mother and father were killed, and she is one of the 2000 taken into captivity. Needless to say, this trauma has a devastating impact on this little girl, which follows her throughout the entirety of the novel. I love Ishma’s character so much. She is so real! Her fears are palpable (very realistic for a trauma victim). Ms. Andrews doesn’t sugar coat what Ishma went through as a child, and realistically shows how that trauma effects her as a person, a daughter, a friend, a wife, and a queen. There were many moments in this book where my heart broke for Ishma, and I desperately wanted to grab her and hug her as a mom does to her child. She made me laugh, she made me sob, and she made me cheer so hard!!! It was so interesting to see Hezekiah’s strong faith played out over the course of his childhood and young adulthood, and into his reign as king of Judah. What a man of faith. During one of my many moments of Googling, I came upon an excerpt from Josephus’s histories. The one characteristic that he kept repeating in his writings was that Hezekiah was faithful and pious. Mesu Andrews does a fantastic job of portraying this characteristic throughout the book. Hezekiah never wavered in his belief in God. Never! Even in the moments of total darkness — his father, Ahaz, sacrificing his older brother to Molech in front of him, the Assyrians at Judah’s gate, and his seemingly random illness that almost kills him — Hezekiah trusts and follows God. What I really love about Hezekiah’s character in this book (and in the Bible) is his ability to have a deep, personal relationship with God. One of my most favorite moments in the Bible occurs in 2 Kings 19:14-15. The Assyrian king sends Hezekiah a letter. It is an awful letter that blasphemes God so badly my skin crawls reading it. What does Hezekiah do? He marches into the temple and spreads the letter onto the altar so God can see it, and he prays. I LOVE this moment in the Bible. What a fantastic picture of the type of relationship we need to have with God. We should all strive to have this kind of relationship with God! There is still so much more to talk about: Isaiah and his prophecies, Isaiah’s relationship with Zibah and Hezekiah, the way Hezekiah foreshadows Jesus, the beauty of Mesu Andrews’s writing (I seriously felt like I was in Judah with these characters), the awful idol worship and practices that surrounded and found its way into Judah at this time, harem life, and the absolute fear one feels when a terrifying and large enemy taunts you right outside of your city gates. There is so much packed into this one book, it is truly amazing. I adore this book and cannot recommend it enough. I am so blessed by this book, and I thank Waterbrook Press for the opportunity to read it. Mesu Andrews, you are an amazing talent, and I pray God continues to bless you with many, many more future stories. If you are looking for an excellent read to start your new year, then I recommend Isaiah’s Daughter. You will be blown away by this phenomenal story. 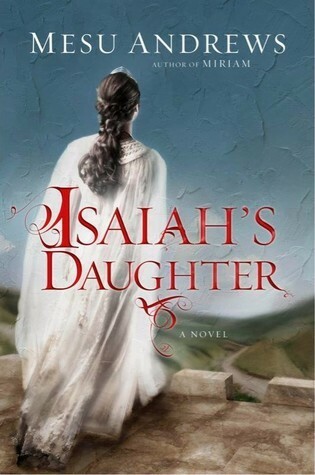 I am giving away ONE (1) paperback copy of Isaiah’s Daughter published by Waterbrook Press. This paperback copy is an ARC. The giveaway begins today, 12-26-17 at 11:00 am and ends on Friday, 12-29-17 at 12:00 pm. To enter, click on the Rafflecopter link below. Good luck!